Today’s toon is a Ton of vector animals of all kinds and sizes, but to scale. Can you name them all? 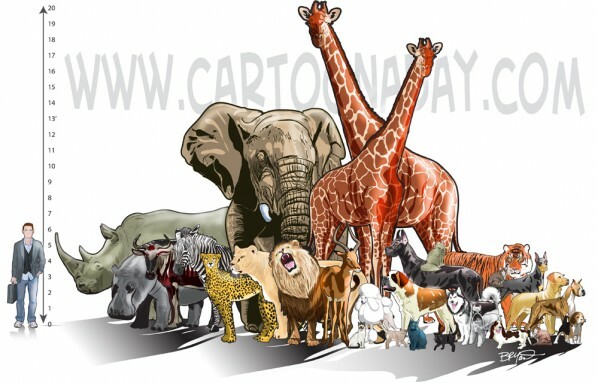 A cartoon of a bunch of animals showing scale.